Sam grew up in Potlatch, Idaho and started in the jewelry business in 1989 as a part time sales associate at a local jeweler while he attended the University of Idaho. 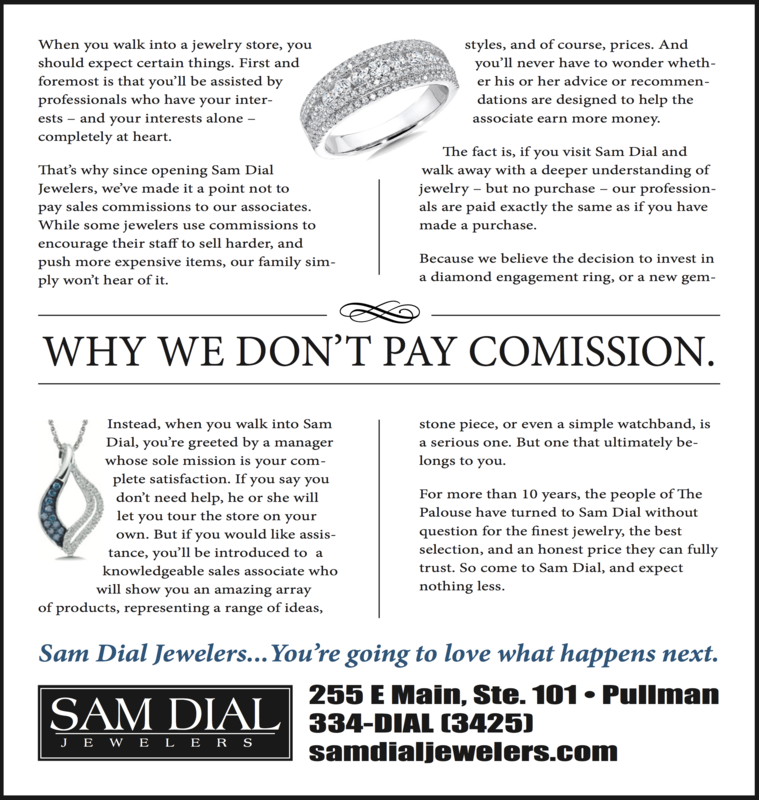 After graduating with a Bachelor of Science in Secondary Education, he almost became a teacher, but decided to stick with the jewelry business and in 2003 opened Sam Dial Jewelers in Pullman, Washington. Sam loves outoor activites such as camping, hiking, rafting, and rock hunting. He is married to the love of his life, the beautiful Jodi, and together they have five grown kids and one grandkid. In addition to being an IJO (Independent Jeweler Organization) certified master jeweler, Sam frequently travels to jewelry trade shows to meet with vendors and hand-pick whole pieces, gemstones, and diamonds. Our broad loose diamond and gemstone inventory allows customers to personalize their piece of jewelry and make it truly one-of-a-kind. Whether you are interested in a 1/4 carat diamond, a fancy 2 carat blue or pink diamond, or a Montana sapphire, we have everything to fit your needs. As an independent jeweler, we don't have overhead like chain stores. As a member of the Independent Jewelers Organization, we are part of the largest buying group for jewelers in the world. Not only does Sam buy direct from cutters in Antwerp, we also have special relationships with many direct diamond suppliers here in the U.S. We also have a master goldsmith who has been in the industry for over 30 years and works in-store to provide the quickest and highest quality services to our customers, from repairs to custom work. Sam currently serves on the Pullman Regional Hospital Foundation board as a director. Sam and Jodi support local community events and the store donates to about a hundred local organizations every year.